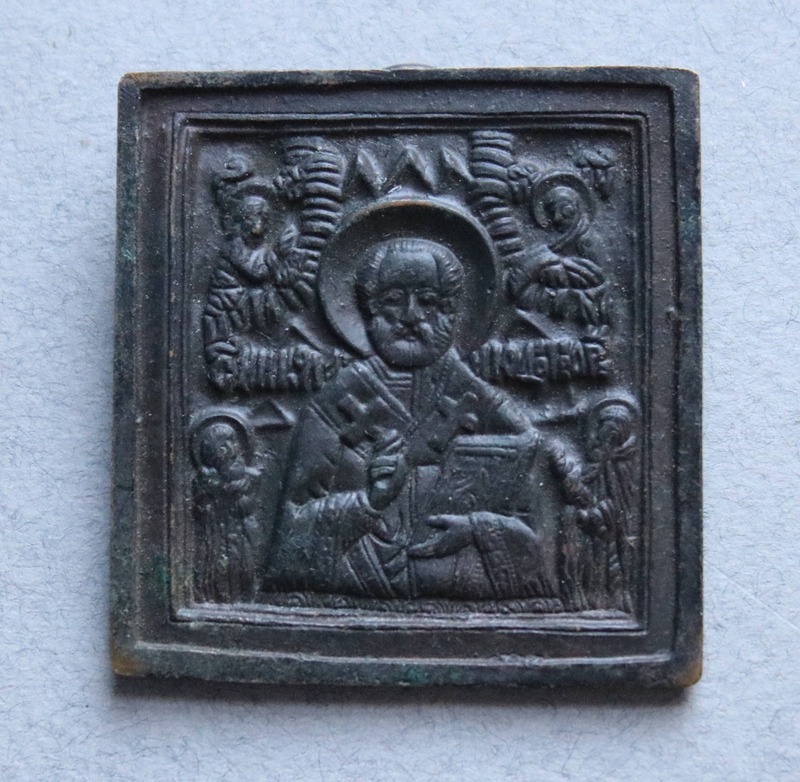 This is a vintage Russian Orthodox/Eastern Orthodox metal icon of St. Nicholas. 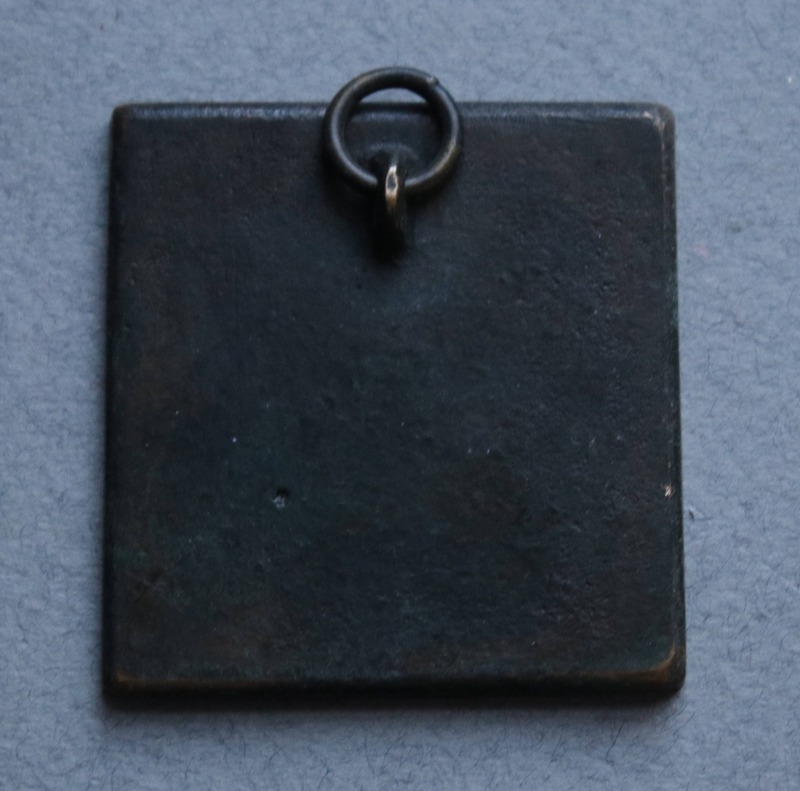 It is also called a traveler's icon or an icon signifying one as an "Old Believer." 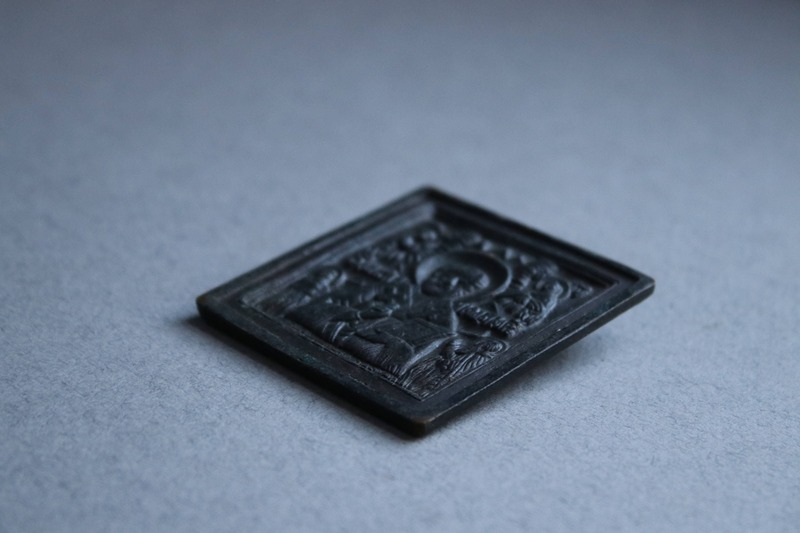 www.rosaryworkshop.com writes: In 1723, Peter the Great forbid the casting of metal icons and they were banned in the process of ‘renewing the church’ during that period. Many believers chose not to recognize these changes and took on the metal Icons as their symbol for this reason. They are known as the 'Old Believers' to this day. Although I am uncertain as to its exact age, I believe it's definitely vintage. 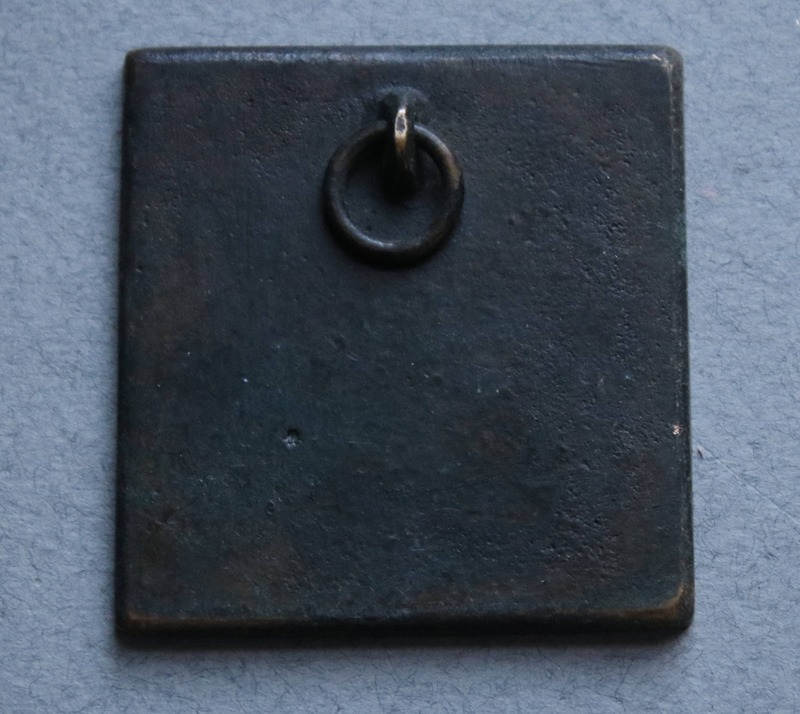 The icon measures approximately 2 1/8" x 2", not including the bale in the measurement.